Planning a celebration of life or memorial service requires what can seem, at times, a daunting task. There seem to be a countless number of decisions to be made. The following checklist for funeral arrangements is designed to guide you through the number of things that you must decide on. Where will the service be held? It can be in the funeral chapel, a funeral home, a hotel, in a park. The location needs to be confirmed for the date of the service. What will be the date of the service and what time will it start? An obituary is needed to be written. Obituary Template. Are you going to use a casket for the body, or will there be a cremation? Normally there is no casket present at a memorial service or celebration of life. If the body is cremated, often, but not always, the urn is placed on a table at the service.If you are using a casket, where will the burial be? If having a cremation, will the ashes be stored in an urn, or scattered? Who will officiate (or emcee) the service; a friend, family member, funeral celebrant, funeral director? What type of service do you want? Spiritual or non-religious. Do you want to have a powerpoint or video presentation of photographs and videos of the life of the deceased? What specific music would you like played in the background while the presentation is played? Ideas for presentations. Who will give an Eulogy? You may have one person give the eulogy, or several people such as a family member, a school friend, a work friend, a partner, etc. Eulogy Template. Are there any items and pictures of the deceased that you would like present on a memory table? Funeral themes and ideas. Are there special songs you would like played, as people enter, during and after the service. Do you want an organist, a harpist, a band, a flutist? Is there recorded music you would like played? See funeral music or hymns. Funeral music ideas and Funeral hymns. Any particular poems or Bible readings you would like? Who will read them? Funeral Bible Reading ideas. Or a particular poem? A handout funeral program is needed to be created. How to write a funeral program. 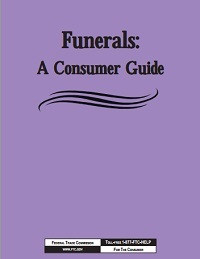 See ideas for funeral program templates. Do you want to hand out a parting gift of remembrance to guests as they leave the service or reception? Example, packets of "Forget Me Not" seeds. Will you have a reception after the service? Where will it be? Who will cater it? Do you want themed decorations for the receptions? Example a golf theme. Thank you cards should be sent some time after the service to anyone who helped you, such as sent flowers, food, or contributed in anyway to the service.